Are you wondering what is the difference between public and private network? Consider to change network type on Windows 10 from a public to private or vice-versa, but can’t figure out how to do that? 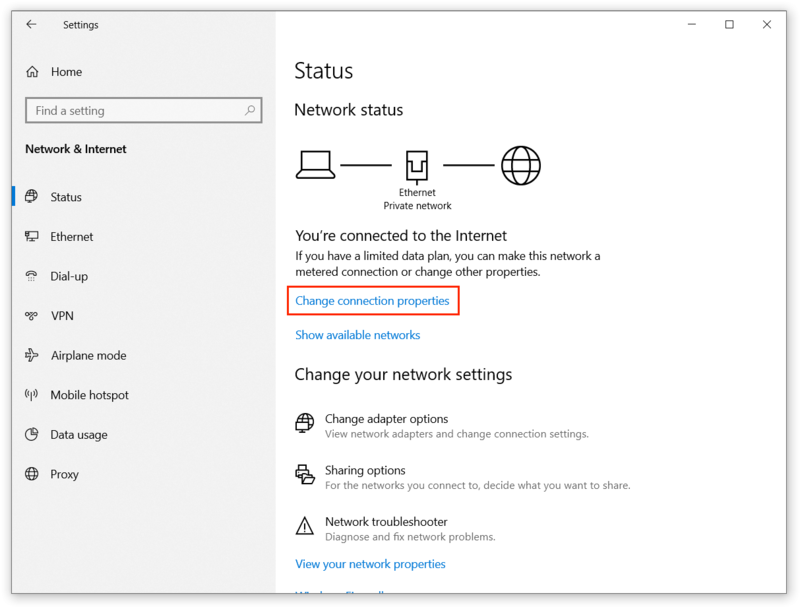 No more searching—this article is all you need to know about changing network type on Windows 10 and which option you should choose. How to Choose Network Type on Windows 10? Private or Public? That is the question. Some people mistakenly think that a private network is more secure because it is … well, private. Turns out, it is quite opposite. When you set network type to Private, Windows understands that you have no control on this network, thus restricts usage of some important privacy-sensitive features. For example, the system sets more secure settings of network discoverability, shared folders, printers, etc. If you choose Private, then Windows applies more loose settings. Do not get us wrong. A private network is still a secure network. It simply uses settings that are more convenient for domestic usage. And yes, you can restrict your network to make it more “secure” without changing network type on Windows 10. Rule of thumb: select public network any time you are out of your home network or any other trusted environment. How to Change Network Type on Windows 10? Every time you connect your PC to the unknown network, you are facing a message popping up and asking whether you want to make your PC discoverable. 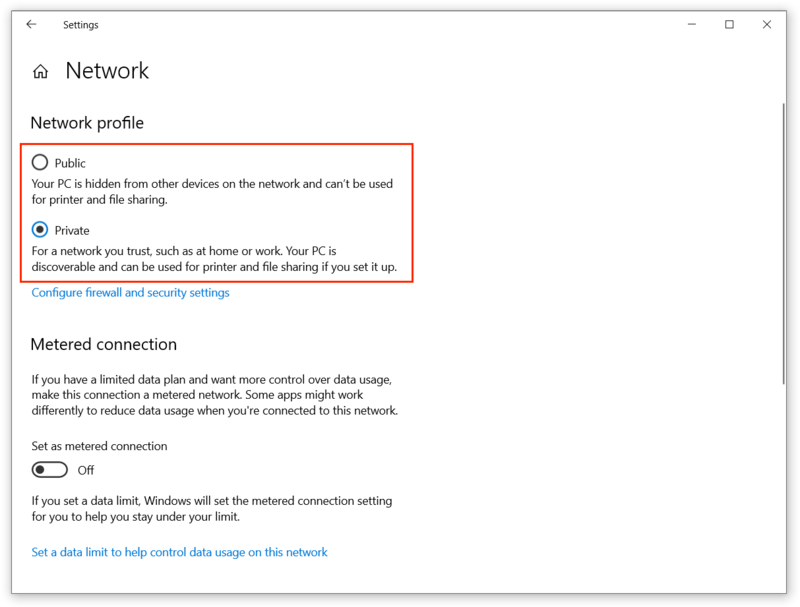 If you press Yes, Windows 10 sets this network as a Private. If you press NO, you will get a Public network. READ ALSO: How to Rename Mac Computer? Connect to the network you want to change. Press Win + I and go to Network and Internet > Status. Press Change connection properties link. It will get you to the new window with the option to change network type in Windows 10. Select Public Network on Private Network. That’s it. No need to restart network equipment or even your computer. There is more. 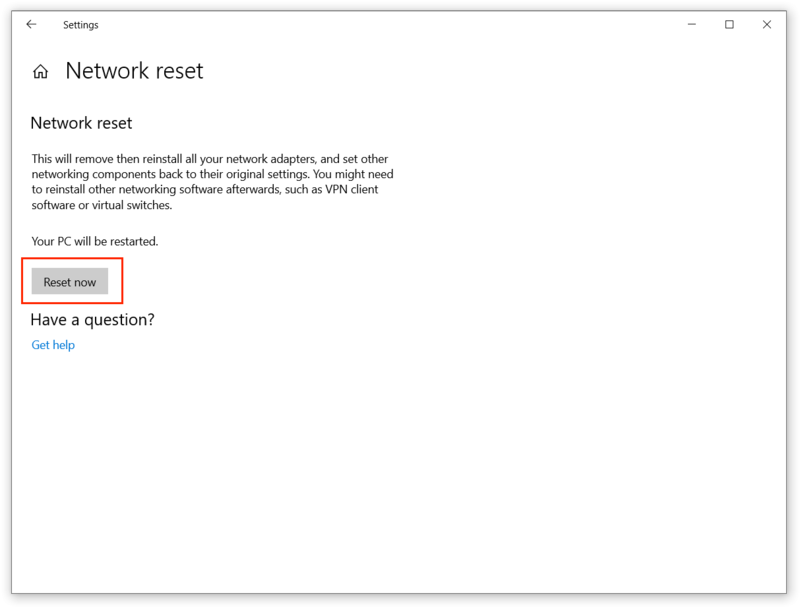 Another way to change network type in Windows 10 is to reset network. This one takes more steps and requires a restart but still gets the job done. Press Win + I (open Settings using any other method you prefer). Locate Network and Internet. Click Status and scroll down to the bottom. What you are looking for is a link called Network Reset. Click on it. Press Reset Now and wait until your computer restarts and boots back. If an automatic reboot does not happen, restart the computer manually. After that, you will get that prompt asking you to choose whether to make your PC discoverable or not. Select yes or no, depending on which network type you want to get.